Disruptive new technologies, aging infrastructure, strengthened environmental regulation, and increased energy efficiency adoption are all contributing to a rapidly changing energy landscape. In order for utilities to plan for meeting future energy demand in the most cost-effective way, many states require utilities to file integrated resource plans (IRPs) with their state public utility commissions (PUCs). IRPs first started in the 1980s in response to the desire to better integrate energy efficiency into utility planning, the unexpectedly high costs of developing nuclear plants, and the oil embargoes of the 1970s. Today, new technologies, changing market conditions, and new environmental regulations are making IRPs change with the times. An IRP is a roadmap to meet forecasted energy demand using both supply and demand side resources to ensure reliable service to customers in the most cost-effective way. 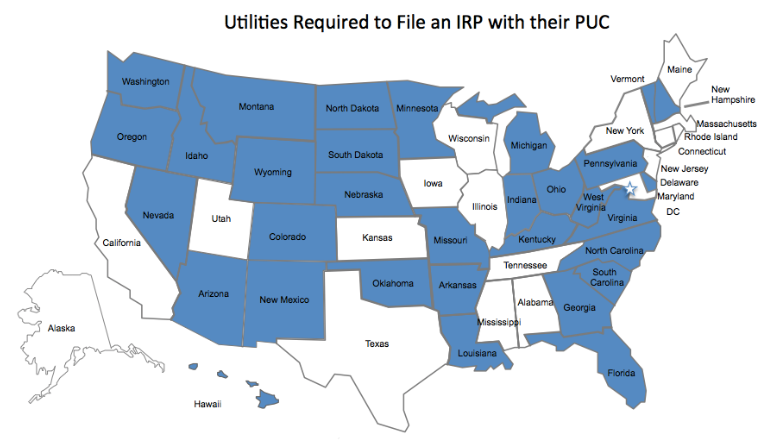 Today, according to AEE’s PowerPortal, 33 states - either by state statute or regulation - require utilities to file publicly available IRPs or their equivalent with their PUC. IRP requirements and scope vary by state, but most commonly the planning horizon is 20 years, with a detailed implementation plan for the first few years and a required update every two to three years. Additionally, most state PUCs have authority to review plans and reject them if they feel certain requirements have not been met - as was the case in Hawaii with HECO’s IRP in 2013. In 1965 - near the height of the U.S. nuclear power build-out - the Long Island Lighting Company (LILCO) commissioned the construction of the Shoreham nuclear power plant, which eventually became one of the industry’s starkest examples of failed planning. Costing $6 billion instead of the estimated $350 million, the plant took almost 20 years to complete. In response to the 1979 Three Mile Island and the 1986 Chernobyl disasters, protesters claimed that because of where it was sited, evacuation of Long Island would be nearly impossible in the case of an emergency. In 1989, without ever going into commercial operation, LILCO sold the plant to the Long Island Power Authority, which closed the plant for good. Ratepayers are still footing the bill. Proper long-term planning and stakeholder involvement could have exposed some of the potential problems LILCO faced and may have saved ratepayers billions. In the 1980s, IRP requirements became popular as legislatures and regulators saw them as a way to increase resource diversity and reduce the role of foreign oil in the economy. However, IRP mandates were scaled back significantly in the 1990s, with the trend toward utility restructuring and the creation of competitive wholesale and retail power markets. Regulators thought that many of the issues of the past would be better solved by market competition than by formal planning, but the energy crisis in California at the turn of the century gave many regulators pause and led them to believe that some level of integrated planning was still a necessity. Now some states in restructured markets - such as Pennsylvania and New Hampshire - have redesigned IRP requirements to be more applicable and include long term procurement plans. Utilities have always had to plan ahead for their investments. Over the years, however, this process has become increasingly complicated. 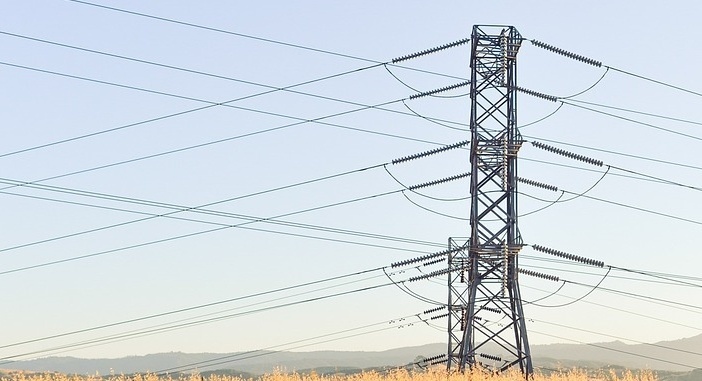 Historically, utilities mainly considered generation, transmission, and distribution additions to meet growing demand; now they have to plan for a more complex and uncertain environment. This includes power purchase agreements from independent power producers, renewable energy and energy efficiency portfolio standards, upgrades to aging and vulnerable transmission and distribution infrastructure, and the growth in customer-sited distributed energy resources. Utilities must also bear in mind a variety of factors which have been magnified in this energy landscape - base load versus peaking power, environmental externalities, resource diversity, and volatility in the fuel and commodities markets and their subsequent effects on price stability, and reliability. Today, new technologies and changing regulatory environments are transforming our energy mix, and resource planning will be paramount to ensure utilities can provide least cost and reliable service to their customers. The EPA’s Clean Power Plan (CPP), finalized last week, will have a large effect on utility planning for the next two decades. In fact, some utilities, such as AmerenUE in Missouri, are already preparing for the CPP in their IRPs. In the past three years, 67 GW (out of 1,060 GW total installed capacity today) have come online, with half of those additions coming from wind and solar. The move towards renewables and natural gas is likely to accelerate even faster when the CPP goes into effect. According to AEE’s analysis of EIA data tracking planned retirements, between 2015 and 2023 there are already 39 GW of generating capacity retirements (over 70% of which are coal) in the pipeline. This number is sure to rise over the next couple of years, as most utilities have not released plans past 2018. This snapshot, however, demonstrates that new regulations and disruptive innovation are already changing our energy mix and that proper planning will be critical for the future of the grid. A handful of states, from California to New York, are in the thick of comprehensive 21st century electricity reform. IRPs can be a good indicator of the direction the state is trending and in some cases can kickstart reform. In Minnesota, Xcel Energy submitted a roadmap to the Public Utilities Commission designed to implement the recommendations of a stakeholder process. Known as the e21 Initiative, this IRP has been a key driving force in a grid modernization process which is set to begin this September. The falling cost of renewable technologies, the surge in distributed energy resources and the increase in energy efficiency coupled with stronger environmental standards and aging infrastructure are the central drivers molding our energy future. In this era of change, it is essential that utilities consider the views of key stakeholders and develop flexible plans. Utilities must also identify all possible scenarios that consider potential disruptions, such as the rise in distributed energy resources and that incorporate technologies such as energy storage that may become increasingly cost competitive over a long horizon. California’s recently filed distributed resource plans may provide a sneak peek into the IRPs of the future. On July 1st, California’s major investor owned utilities (which include Southern California Edison, San Diego Gas & Electric, Pacific Gas & Electric) filed plans intended to begin the process of moving the IOUs toward a 21st century electricity system. This means a more open and flexible grid that includes fuller integration of distributed energy resources (DERs) into distribution system planning, operations and investment decisions that will yield net benefits for all ratepayers. The energy landscape is at a crossroads, regulatory environments are changing, and the IRP is more important than ever before. For more information sign up for a free trial for AEE’s PowerSuite today! We track recurring proceedings such as Integrated Resource Plans, Rate Cases, Renewable Portfolio Plans and Energy Efficiency Plans, with links to the most recent proceeding, the authority that created them, and future filing schedules.